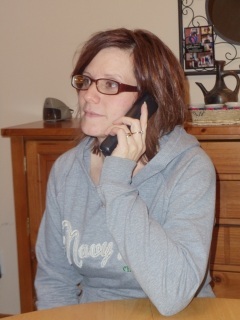 Stacy meets with you on the phone o discuss your family's needs. Stacy meets with you in your home or another neutral location to discuss your family's needs. Please choose the rate and specific number of hours you would like to purchase and we will get you scheduled when we receive your payment. There is a travel fee of $1.00/mile for any distance over 10 miles that the client will pay in person in addition to coaching fees. Stacy comes in to your home in person to observe your family in action. This service consists of a 1.5 hour informal observation time and a half hour feedback time via Skype or a written report. **In this case there is the coaching rate plus travel expenses for 30+ travel radius and in the case of a 60+ mile travel distance, there will be lodging expenses as well. Stacy comes in to your home via Skype and a Bluetooth Earpiece to observe your family in action, helping her to better understand your relationship needs. This service consists of a 1.5 hour informal observation time and a half hour feedback time via Skype or a written report. Stacy comes in to your home in person for a whole day to work with you in every aspect of the day from waking up in the morning to going to bed at night. This service consists of education, observation and hands-on examples of techniques. **In this case there is the coaching rate plus travel expenses and in the case of a 60+ mile travel distance, there will be lodging expenses as well. A Family Consult consists of 30 minutes via PHONE. Getting your child's teacher on board with you can be a big key to your child's success in school. Stacy will observe your child in his/her classroom for 1 hour and afterwards she will meet with you for 1 hour to provide feedback and tools to use for success in the classroom. **In this case there is the Coaching rate plus travel expenses and in the case of a 60+ mile travel distance, there could be lodging expenses as well. Step 1--A 2 hour In-home Coaching Session (in person or Skype). ***SAVE $50.00 on this package by using automatic withdrawl installments. Step 1—A 2 hour In-home Coaching Session (in person or Skype). Step 2--4 One hour Follow-up sessions which take place weekly by phone or sky[e.
Step 3--6 One hour Follow-Up Sessions which take place monthly by phone or skype. Step 3 -- 2 follow-up 1 hr sessions using bluetooth to be scheduled weekly following the in-home session. ***Client also agrees to pay costs of travel and lodging. Payment due 30 days prior to service.